(Seychelles News Agency) - Seychelles’ monetary policy will cautiously be loosened and new measures applied for the third quarter of 2017 to spur domestic economic activity, a Central Bank official said. 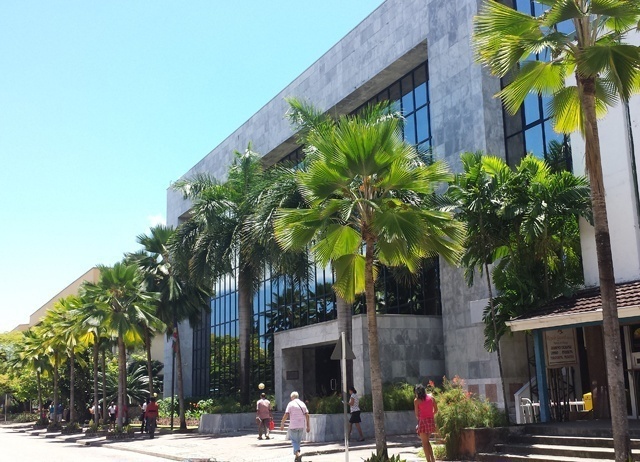 The governor of the Central Bank of Seychelles (CBS), Carolina Abel, said monetary policy can be loosened because prices of goods are expected to remain the same over that period. The uptick in inflation recorded during the first half of the year is not expected to increase further, Abel said. “We anticipate that global prices will remain generally weak, while the Seychelles rupee remains relatively stable albeit on a slight depreciating trend. The goods we import will not have an impact on the local prices,” Abel said. As part of the monetary policy framework that will be implemented during the third quarter, the bank has introduced some new measures. This includes a minimum interest rate of 1.0 percent that will be transacted with commercial banks if they deposit their excess money with CBS. A credit facility at a rate of 6.0 percent if banks borrow money with the Central Bank will also be put in place. Abel said these two measures will enable the Central Bank to calculate its own interest rate based on the situations, moving away from using treasury bills when pricing products. Treasury bills are short-term securities issued and are matured from three months to one year. They are at present being issued on a tender basis. The reserve money target for the third quarter has been set at $248 million (SR 3,353 million) which is more than the second quarter. “This money will be injected into the system and will allow the public to access loans at a lower rate, which will, in turn, encourage growth in credit to productive sectors such as tourism, fishing and agriculture,” said Abel. In April this year, the Central Bank of Seychelles announced that it had to strengthen the monetary policy due to high demand for credit and foreign exchange. Commercial banks had to increase their interest on savings to encourage people to save and therefore reach their reserve target. As a consequence, the interest on loans increased to compensate for the reduced demand. The Seychelles’ tourism industry remains the main driver of the country’s economic performance in spite of the uncertain outlook on the stability and depreciation of the euro. This year from January to May, visitor arrivals have grown by 20 percent compared to the same period last year. Tourist arrivals at the end of May stood at around 147,000. “Nonetheless, the growth in visitor arrivals has not translated into a corresponding increase in tourism earnings as our main market is from Europe and that the euro has depreciated against the rupee,” said Abel. While there has been a substantial increase in tourism, the same could not be said for tuna production, which is part of the fishing industry, the second pillar of the country’s economy. “The performance in the tuna sector is more uncertain, but it is expected to remain uncertain throughout the year,” said Abel. Despite economic setbacks, the outlook for this year indicates a gradual increase in the Gross Domestic Product (GDP) growth.